Harris Teeter is running a great promotion now through April 3rd. Wen you fill a new or transferred prescription at your local Harris Teeter Pharmacy, you will earn a $20 off purchase electronic coupon. This coupon will be applied to your VIC card and can be used on your next grocery purchase of $20 or more. Those with a VIC card can earn up to 10 electronic coupons, for a total of $200 off different purchases. 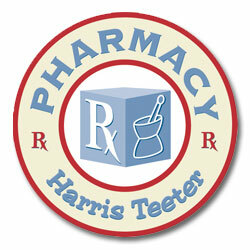 For more information check out the Harris Teeter Press Release. Don’t forget to see whats on sale this week at Harris Teeter.